All goats have been socialized on our family ranch and are loving and trusting of people. We’re dedicated to producing high-quality family pet goats for milking. Great for special needs children, young adults and seniors. Prices include humane veterinarian care for disbudding, health exam, vaccines, & boosters. When you buy from us you can always call us with questions, we’re happy to help. Quality feed, forage, vitamins & nutrients are provided to all of our goats & we stay as organic as possible. We are a family ranch and not a petting zoo / public facility. We schedule visits for families that are interested in acquiring our companion goats. Goat Companions imposes strict biosecurity practices to protect our healthy herd from contagious diseases. No outside animals are allowed on the property. We apologize for any inconvenience, but our herd’s health is of utmost importance to us and to you as a future companion goat owner. Goats are herd animals and a single goat can become listless, sickly and pine away. So, you must currently own a goat or purchase two from us. Goats are great backyard pets with unique and endearing personalities – just like your beloved family dog. Many families are exploring a more self-sufficient lifestyle by purchasing a few Nigerian Dwarf or Mini-Nubian dairy goats and chickens, along with planting small backyard gardens. Yearling: Call for availability & pricing. Senior: Call for availability & pricing. 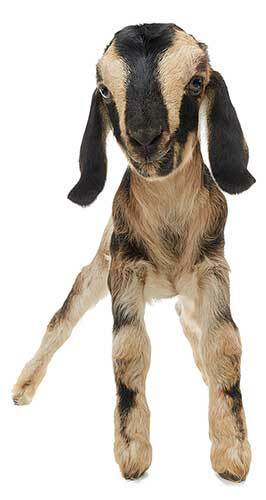 We offer a discount when you buy two or more of our unregistered buckling goats. Goat Companions is a family-owned Nigerian Dwarf and Mini Nubian goat breeder dedicated to producing high-quality family pet goats.